COMPETITIVE PRICING / COST SAVINGS – The Town negotiates a competitive electricity supply price with the goal of beating the electric utility’s Basic Service rate. PRICE STABILITY – The aggregation establishes a contract with an electricity supplier for a predictable price over a fixed period of time. GREENER POWER COST EFFECTIVELY – The Town can choose to include more renewable energy in the program than the utility delivers through Basic Service, including from local renewable energy sources. CHOICE AND TRANSPARENCY – The competitive procurement process will ensure a vetted, transparent alternative to utility Basic Service. There are no hidden costs, and program terms are public. Any electric customer on utility Basic Service within the geographic boundaries of the city or town launching the aggregation will be automatically enrolled in the program when it launches. Any electricity customer that already has an agreement with an electricity supplier will not be automatically enrolled, but may choose to join. Any electric customer that does not wish to participate in the program may opt out, or leave, at any time with no penalty. After the program starts, the Supplier Services part of each program participant’s bill will indicate that electricity is being supplied by the electricity supplier selected by the Town. Additionally, the program rate will appear for electricity supply costs instead of the utility’s Basic Service rate. Participants will continue to receive one bill from the electric utility. Participants will continue to call the electric utility if the electricity goes out. Anyone eligible for a low-income delivery rate or fuel assistance will continue to receive those benefits. Net metering credits will continue to appear on the utility bill and will be calculated based on the utility’s Basic Service price. Implementing a municipal electricity aggregation is a highly regulated process that is overseen by the Massachusetts Department of Public Utilities (DPU). A utility bill is separated into two services: supply and delivery. Supply refers to the electricity itself. 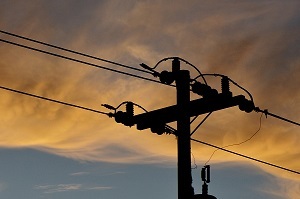 Delivery is the process of bringing electricity to customers over the wires. The electric utility is responsible for electricity delivery. In addition, the utility typically chooses the electricity supplier and passes that cost along to customer. This is called Basic Service. Within a municipal electricity aggregation, the utility will continue to deliver the electricity, but it will no longer choose the electricity supplier. Instead, a city or town will choose an electricity supplier for residents and businesses through a competitive bid process.